Art In The Pearl Fine Arts and Crafts Festival invites you to apply to be one of 130 exhibitors at the 2016 event. 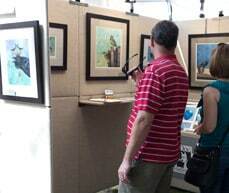 The three-day event gives patrons the special opportunity to meet and purchase art from exhibiting artists. Monday, February 15, 2016 Midnight, Pacific Time: Early Application deadline $35. Sunday, February 28, 2016 Midnight, Pacific Time: Late Application deadline $45. March 2016: The five person jury convenes over two days. Tuesday, April 12, 2016: Notification by email (Please do not call) – 130 juried artists will receive an invitation to exhibit. Sunday, May 15, 2016: Deadline to accept invitation to participate, and remit booth fee. Thursday, June 30, 2016: Last day to cancel participation in 2016 show and still receive 50% booth fee refund. A total of 130 artists will be chosen to exhibit though a highly competitive jury process. Artist applicants remain anonymous during the jury process. All of the jurors will view each artist’s set of images projected simultaneously in a horizontal grouping. The materials, dimensions for each image, and artist information statements will be made available to the jury. Artistic excellence is the sole criteria for selection of exhibitors. The five jurors will view all artist images at the same time and in the same room. Scoring is based on originality, design, technical proficiency, and craftsmanship. All scores are combined and averaged. Art in the Pearl establishes no quota or entitlement by media category. The top scoring artists receive invitations to exhibit. Remaining applicants in the final round are placed on a waiting list of alternates. Decisions of the jury panel are final. Projection Jury: Images are viewed simultaneously projected from left to right horizontally. The booth image will not be projected. However, it will be available on the jurors computer monitor. 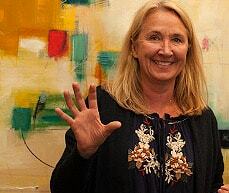 Jurors: Five, Art Professionals including three working artists. Jury Format: Two Days -First day scoring Yes, No, Maybe, Second day 1-10. Applications for Jury: Sorted by the date the application is received. – The fifth image, must be of a display of the artist’s work, showing overall continuity and presentation of your current body of work. – The purpose of the booth image is to ensure the artist has a complete body of work which is represented both in the first four images and also within the fifth image. It also helps identify the scale of the artist’s work. – Note: this is a blind jury process, please avoid submitting booth images with any identifiable sign, or photo of the artist themselves. – In addition, any work outside of the medium and context of the 4 images submitted that may appear in the booth shot would not be considered accepted by the jury, due to it’s mere presence in the booth image. If artists have multiple bodies of work, Art In The Pearl encourages them to submit these in separate applications. Artists submitting an application as a collaborating artist or partnership must submit the names of both collaborators with the application. You may not add a partner after the jury. 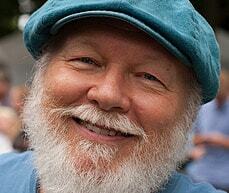 Art In The Pearl maintains a wait list from the jury process. This list is utilized to maintain a balanced show. Please do not call. The Emerging Artist Program is designed to assist regional (Oregon and Washington based) artists who have minimal to no experience exhibiting and selling their artwork. Artists who are in the early stage of their art career and/or have made a recent career change to art are encouraged to apply. 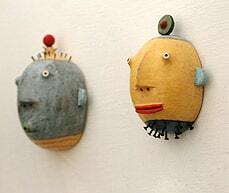 Emerging artists may not have previously participated in more than four juried art shows. Upon acceptance, Emerging Artists will pay a fee of $270 and will exhibit in a 10×15 booth space that will be shared with one other Emerging Artist. Art In The Pearl will provide the booth space, canopy and electricity. Emerging Artists will be responsible for their own display materials. Art In The Pearl will provide a mentor to help guide the Emerging Artist participant through the details of festival preparation, display, and sales. – If a booth image is not available, submit an image taken of a grouping of works representative of the works to be exhibited at the show. Artists may apply to either the Emerging Artist Program or for the general show, but they may not apply to both. Art In The Pearl reserves the right to prescreen and research any emerging artist applicant to make sure they conform with the requirements for this category and have the level of experience represented in the application. Selected artists must confirm acceptance and return the booth fee by May 15, 2016. Failure to respond by May 15, 2016 will result in revocation of the invitation and immediate invitation of an alternate from the waiting list. A $35 administration fee will be charged if an artist withdraws after having submitted booth payment. The applicant is responsible for keeping their e-mail address updated and current on their zapplication.org profile. Notifications will be sent via e-mail by April 12, 2016. Please see the detailed refund policy in General Rules and Regulations. 10 wide x 10 deep – $615. 15 wide x 10 deep – $955. 10 wide x 20 deep – $1010. 20 wide x 10 deep – $1250. Emerging Artist Program 7.5 wide x 10 deep – $270. All space is subject to availability at the time of reservation.! Accepted Artists will be allocated a space measuring 10ʼ deep by 10ʼ wide for their display. (A limited number of double wide and double-deep booths are available.). 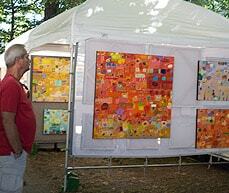 Artists are to provide their own display structure appropriate for an outdoor event. Booths must be of sound construction, conform to fire code regulations, and must be capable of withstanding inclement weather. Artist is responsible for back, sides, and top of the booth. Booth must be visually presentable to adjoining booths and must not obstruct or endanger neighboring booths or the general public . Artist must confine booth structure and all work, boxes, chairs, and other display materials within the allotted exhibit space. Artists are responsible for the security of their belongings at all times. Contracted security will be provided after 6:30pm Friday until 6:30pm Monday. If an exhibitor does not have a tent, a local rental company is available for assistance. Browse bins may occupy no more than 15% of booth space, must be aesthetically pleasing, and may not obstruct traffic flow. These requirements will be enforced for reasons of safety and crowd control, at the sole discretion of the Art In The Pearl. In the event of Artist cancellation, Art In The Pearl will refund 50% of the booth fees paid in advance if Art In The Pearl receives written notice of Artistʼs cancellation no later than June 30, 2016. No refunds will be made for cancellations for any reason after this date. A $35 administration fee will be charged if an artist withdraws after having submitted booth payment. In the event that Art In The Pearl withdraws its invitation to an Artist or removes an Artist from the show for violating a rule or policy, any prepaid booth fees will not be refunded. The Artist is entitled to keep all proceeds from show-related sales. Art in The Pearl is a nonprofit organization that receives no commission on the sale of artwork. Approximately 100,000 persons visit Art In The Pearl each year. Our extensive marketing program is directed towards a diverse audience of individuals likely to be interested in the visual arts. While the majority of the audience is from the Portland metro area, a significant and increasing number of art patrons from around the nation attend. The application requires a description of materials, process, and technique. Please describe your work and process, not your philosophy or inspiration. This statement (to be posted in your booth) is part of our mission to educate the public. A total of three Best of Show awards are given to Artists for outstanding work. Award winners are invited to return in their awarded category the following year. An image of that artistʼs work will be on promotional materials, on Art In The Pearl’s website, social media, and in advertising and publicity campaigns. Media categories are used by Art In The Pearl as a tool for organizing Artistsʼ images into logical, related groups for the juryʼs review. While a balanced show that equitably showcases both works of fine art and fine craft as well as diversity among media is a principal objective, Art In The Pearl establishes no quota or entitlement by media category. 2-D Mixed Media: includes any combination of a variety of materials used to create an original work of art that is by design to be displayed on walls with a one-sided orientation. 3-D Mixed Media: incorporates more than one type of physical material to form an original work of art visible from 360 degrees. Ceramics: all original clay work other than jewelry is accepted in this category. No machine-made or mass produced work is permitted. Work produced from commercial molds is not acceptable. No more than 15% of display may consist of slip cast work which has been designed by the Artist. If multiple pieces of the same design are displayed each piece must be signed. Digital Art: This category includes any original work created solely by the artist utilizing computer technology to craft visual images. Work must be properly signed and numbered as a limited edition, not exceeding 250 per image, using only archival quality materials. Traditional photographs taken through a digital media should apply in the Photography category. No work printed on canvas will be accepted for display at the Festival. Drawing: compositions that are created by the artistʼs hand using dry media including chalk, charcoal, pastels, pencil, wax crayon, etc. or from the fluid medium of inks and washes applied by pen or brush are to be entered in this category. Fiber: all work crafted from fibers including basketry, embroidery, weaving, tapestry, leather work, and papermaking. No machine tooling, machine-screened patterns or other forms of mass production are permitted. All pre-manufactured wearable items are prohibited, regardless of additional modification or enhancement by the artist. The Fiber Wearable category includes all items that are worn or used for adornment. Glass: No forms of mass production are permitted. All pre-manufactured items are prohibited, regardless of additional modification or enhancement by the artist. Jewelry: all jewelry whether the work is produced from metal, glass, clay, fiber, paper, plastic or other materials must be entered in this category. Work must be designed, created and executed by the artist. All work displayed must be similar in style, quality and method to the work presented in the artistʼs images. No more than 15% of a piece may consist of commercial findings, and no commercial casts, molds or production studio work is allowed. Commercially purchased components (beads, glass, gem, pearls, metal, other not made by the artist) that are strung or assembled and/or twisted on wire are prohibited. Metalwork: original work created through the forging, twisting and fabricating of various metals. No production studio work is allowed. Painting: original compositions created by the artistʼs hand in oils, acrylics, watercolor etc. are in this category. Photography: Photographers are encouraged to do their own printing. Photographic prints made from the artist’s original image, which have been processed by that artist, or under his or her direct supervision, are included in this category. Photographers are required to disclose both their creative and printing processes. All work must be signed, numbered, and dated in limited editions of no more than 250 per image. No photographic images printed on canvas are allowed. The photography category includes hand colored, Polaroid transfers, emulsion transfers, etc. Please do not enter such work in the Mixed Media category. Signage of an overtly commercial nature listing the availability of numerous sizes, print surfaces and/or framing options is prohibited. Printmaking: defined as multiple originals where the artistʼs hand has manipulated the plates, stones, blocks, composite reliefs, or screens. Prints must be properly signed and numbered in limited editions not to exceed 250. Printmakers are required to disclose both their creative and printmaking processes. Sculpture: three-dimensional original work incorporating any materials that are designed and executed by the artist. Any work that is reproduced must be signed and numbered. No production studio work is permitted. Thank you for your interest in Art In The Pearl Fine Arts and Crafts Festival. 1. All exhibited work must be consistent with the images submitted by Artist and selected by the jury. 2. All exhibited work must be original to and handcrafted by the accepted Artist. Artist guarantees the accuracy of the description of the work presented to the jury and the authenticity of the work as the creation of their own hands. 3. Work done by a production studio is not acceptable. All work must be designed and executed by the accepted Artist. 4. All participating Artists must be present with their work for the entire three days of the Art Festival. All booths and display materials must remain intact during the entire festival. Representatives may not attend in place of the artist. The Organizer reserves the right to close or remove any booth at which the Artist is not noticeably present. Acceptable photo identification is required at check-in to ensure compliance. 5. Artists must be at least 18 years old. 6. Only those Artists accepted in the Jewelry category may exhibit or sell jewelry. All jewelry, regardless of the materials used, must be entered in the Jewelry category. 7. Artists must prominently display an Artist Statement in their booth describing their materials, process and technique. 8. No more than two artists may collaborate on work. Both Artists must be included on the application. Artist collaborators that produce a single product must creatively contribute to each piece. Art In The Pearl Inc. seeks to present the highest quality fine arts and crafts festival. Consistent enforcement of these rules helps us meet that goal. Members from the Quality Assurance Committee will visit all displays at intervals throughout the Festival. An artist may be asked to remove work. If issues are resolved, the artist may remain in the festival. If the noncompliance remains, the artist may be requested to leave the festival at that time. Such removal may also make the artist ineligible for future participation in Art In The Pearl. If an Artist is asked to leave the show for noncompliance, no booth fee refunds or other compensation will be provided. 1. Quality, unframed reproductions of two-dimensional originals, signed and numbered by the Artist, are the only acceptable form of sales in addition to the original works. When original art is scanned in or digitally uploaded into a computer or photographed onto film and then printed as a Giclee/ink jet print, photograph, offset lithograph, photocopy etc., the result is considered a reproduction and not an original work in accordance with Festival rules. Any of the above or any similar method of work that also receives additional modification or enhancement by the Artist are also considered to be Reproductions in accordance with the Festival rules. All reproductions must be clearly and individually labeled “reproduction”on the front of each piece. They must NOT be labeled as “print”, “offset lithograph” or “giclee”. ***Reproductions on canvas are not acceptable. 2. Reproductions must be signed, and editions must contain no more than 250 total per image. 3. Reproductions shall be unframed and may not be displayed on any wall space. Only original works may be hung. Reproductions may be displayed only in browse boxes, flip bins or similar displays. 4. At least 85% of Artistʼs display shall consist of original artwork.Reproductions will be limited to no more than 15% of the total display by any Artist. Reproductions must be consistent with the style and quality of work represented in juried images. 5. Artists may not sell postcards, note cards, calendars, posters, magnets, stationery, works digitally printed on canvas (e.g. giclee on canvas), or tshirts. 6. Photographers are encouraged to do their own printing. Photographs on canvas are not acceptable.